Stir-frying is an excellent way to make a meal, and it doesn’t have to be limited to asian-inspired flavors! Learning how to stir-fry can help take your dinners from good to excellent. 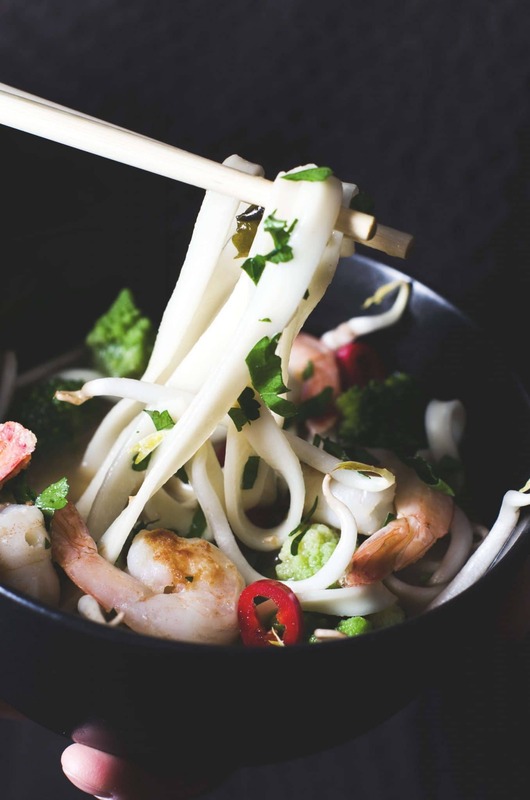 Read on to learn about stir-frying, the ingredients you should use, if stir-frying is healthy, and whether or not you need a wok. 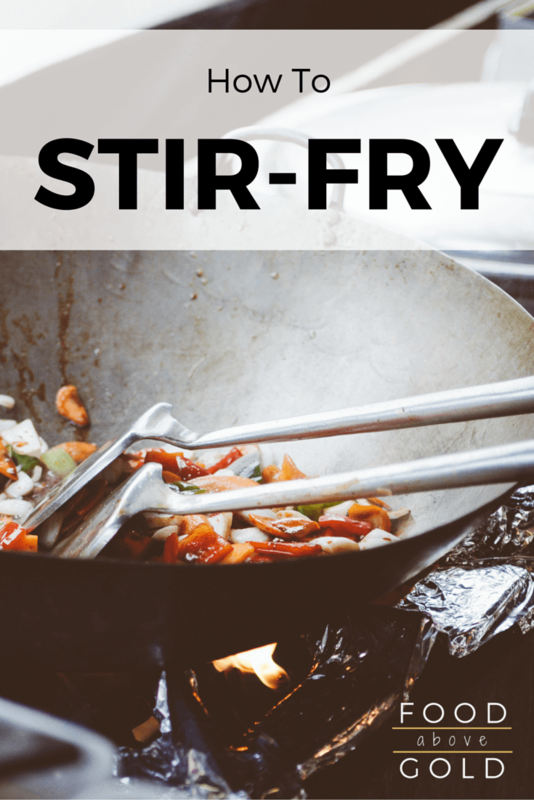 When most people hear the term “stir-fry” it automatically brings thoughts of Chinese buffets, Panda Express, or Mongolian BBQ restaurants to mind. While, yes, stir-frying is a Chinese cooking technique, we don’t have to find ourselves bound by Asian flavors. Knowing how to stir-fry gives us the freedom to experiment and have fun! Stir-frying is a form of sautéing. If you overcrowd your pan so that you aren’t cooking quickly, you’ll end up steaming your meal. Work in batches if necessary to get the right results. 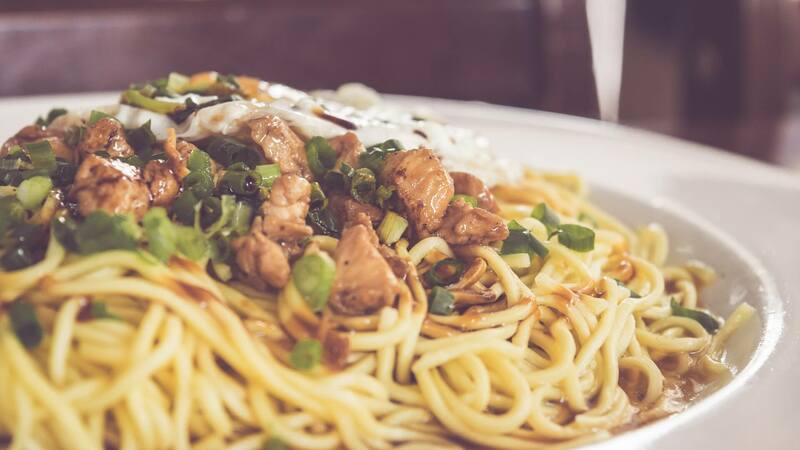 Knowing how to stir-frying is much like knowing how to sauté. All stir-frying is is quickly cooking a dish on extremely high heat with a little bit of oil, often in a wok. Beyond that, you can choose one of two different techniques: Chao, or Bao. Chao stir-frying is done with few ingredients, starting with aromatics, then meat, then sauce, with a few light vegetables (like leafy greens) added at the end. The Bao technique uses hardier ingredients that are added in rapid succession, and uses a very basic sauce so as not to distract from the natural flavors of the cooked ingredients. You’ll find in my explanation of how to stir-fry that I use a mixture of the Chao and Bao techniques. In my opinion, this is the ideal way to get the best flavor while providing a nicely filling meal with lots of variety. From there, you can choose how pervasive you want your sauce to be, whether it’s basic soy sauce, or something much heavier, like my strawberry-chipotle bbq sauce. Do I Need A Wok To Stir-Fry? I don’t want to say that a wok is necessary to make a great stir-fry, but it certainly is helpful. If you are just learning how to stir-fry, don’t make stir-fries often, or have a small amount of kitchen storage, then a large skillet will do the trick just fine. To achieve similar results to a wok, which has sloping sides to help prevent overcooking by keeping certain foods away from the hottest parts of the pan, use a skillet that is much larger than your burner so you can push the things that only need to be kept warm to the outside of the pan. For more information about cooking with a wok, and which wok is the best choice for you (nonstick, hammered steel, stainless steel, etc…), as well as which wok I cook with, then make sure to come back and check out my post on understanding woks, which will be out next Monday. Aromatics/Spices. These are the very first things to go into your pan and will cook very quickly. Aromatics include garlic, ginger, green onions, etc… If you are using dry spices, such as a Chinese 5 spice blend, you’ll add those in later. Meat/Tofu. Because most meats these days are injected with a brining solution to help keep them fresh and moist, you always want your meats to go into your stir-fry as the first major ingredient This is also the ingredient that will take the most amount of time to cook (especially if you are trying to brown it) because you have to cook off the liquid that is injected into it so the rest of your stir-fry doesn’t steam. Vegetables. Almost any vegetable can be stir-fried, but make sure all of your pieces are cut to uniform sizes to help ensure even cooking. You want your vegetables to have a nice al dente crunch to them when stir-frying, be careful not to overcook them. Sauce. This is the final piece of the stir-fry puzzle, the sauce should be the last thing to go into the wok and usually only cooks in the pan for long enough to get hot. It can be mixed with cornstarch before adding to the pan to help make a thicker sauce. The process of stir-frying goes very quickly, so you want to make sure that you have everything prepped before you turn on the heat. In most of my recipes you’ll find that I allow time for you to prep your ingredients while other cooking processes are going on, but when it comes to mastering how to stir-fry, you really should have everything ready before beginning – plus, it’s a great excuse to buy those cute prep bowls you’ve been wanting 😉 . Prep. While your starches cook, get all the rest of your ingredients cut up and ready to go. You can keep ingredients that will go into your stir-fry at the same time in the same bowl. You may want to consider blanching and shocking some vegetables ahead of time to help cut down on your cooking time, or to preserve their beautiful color (like with green and white foods). Hot Hot Hot. You want to get the pan you are using for your stir-fry as hot as possible without smoking. This is one of the benefits of a wok – it is seasoned with oil which helps prevents food from sticking to your pan. Oil. Once the pan gets smoking hot, add in a small amount of oil and swirl it in the pan for just a few seconds. Make sure that the oil you choose is a high heat oil that can go up to at least 450°F, like avocado oil, peanut oil, or grapeseed oil. TIP: If you are someone who puts the oil in their pan before heating it, remember “Hot wok, cold oil”. Once you add your oil, swirl it around the bottom half of your pan for a good coating, then immediately start adding in ingredients. Aromatics. Add in the aromatics and cook for just long enough that they become fragrant. Because the heat is so high, it is really easy to burn your aromatics, especially if they are cut small, so you’ll want to move quickly. Meat. The meat is cooked next, and then removed from the pan and set aside until later. Try to keep your meat in a single layer to prevent overcrowding and to get a better sear. Vegetables. While it seems like a good idea to just throw all of the vegetables into the pan at one time, you want to work backwards from the most crunchy, hardy, and fibrous ones, to the ones that will cook the fastest. Veggies like broccoli, carrots, and green beans will take longer to cook than cabbage, bok choy, or eggplant. Add In. This is when you want to add back in any vegetables or meat that you have removed so it can begin to reheat. Aromatics, take two!. If you want to add a layer of fresh, bright flavors from your aromatics (think the green part of the green onions, or a more raw flavor to your ginger) add them now. This is also the time to add in any dry or ground spices. Sauce. The sauce is the last thing to go into the pan, and it really doesn’t require much liquid at all. Your pan should be hot enough that you hear the wonderful sound of deglazing, and the sauce should only be in your pan long enough to get hot or reduce just a little bit. Stir-fry sauces are often made of soy sauce and something with bite – like vinegar. Additional flavorings like sugar, chiles, citrus, and more may be added, but if you just want some soy sauce, it will still be just as delicious! Because stir-frying is done quickly and at high heat, it is known to have better nutrient retention than other cooking methods (remember our comparison of boiling and steaming? ), but I can’t fully answer “Is stir-fry healthy for you?” because what is healthy for me may not be healthy for you, and the term “healthy” is very fluid. The thing people tend to get hung-up on when it comes to healthy stir-fries is the amount of oil used. As with anything, when you cook at home you have much better control over the portions, so you can choose the amount of oil that goes into your stir-fry. However, the cooking method of stir-frying requires high heat, and small amounts of oil. This means that unless you are choosing a dish that has the protein deep-fried, you are probably not getting more than a tablespoon of oil to the whole dish. When you break that down into 4 portions – that’s only 3/4 tsp per serving. The goal of a restaurant is to make your food tasty so you’ll come back to eat more. Since fat = flavor, restaurants tend to use more fat to make the dish extra delicious. The science of cooking is truly amazing, and if you remember from the explanation of how to deep-fry, proper temperature control also impacts how much oil your food absorbs. If you are cooking your food at a temperature where the outside can sear quickly (stir-frying does this well), then the food can’t absorb the oil through the crust on the food. However, in the case of stir-frying, if this oil started in your pan, then it is going to stay in your pan and end up in your sauce – which is a lot of why stir-fries have a greasy mouthfeel to some people. Again, knowing how to stir-fry and making stir-fries at home will allow you to have better portion control, but if this is something you are concerned about or struggle with, remember that you can always add extra oil during the cooking process, but it is difficult and time consuming to remove it. Did you know all the steps for how to stir-fry? What are your best tips for stir-fry perfection? If you have any other questions, or if there is something I didn’t touch on, please tell me in the comments! If you have put some of these skills to use in your kitchen, I’d love for you to show me on social media using our exclusive hashtag #CallMeMichelin. Any tips on maintaining a good wok seasoning? I find it’s pretty similar to seasoning a cast iron pan, Ben. Once you’ve cleaned your wok with a soft sponge, wipe it completely dry (you’ll probably see a little build-up on the towel, it’s nothing to worry about) then rub in a teaspoon or so of high-temperature oil. I like to use refined avocado oil, personally. Once the oil is rubbed in to the point where it isn’t running down the sides, you can store it like that. As long as you do this after every wash, it should stay in pretty good shape. The thing to be most cautious of is if you need to take a stronger scrubber, like steel wool, to it. That’s going to scratch through your layers of seasoning and make that spot more susceptible to sticking in the future. From time to time, that may need done, so make sure just to give that spot a little extra oil and attention.